The Jan. 14 merger will combine operations with Eastside's Mother Lode co-packing subsidiary. 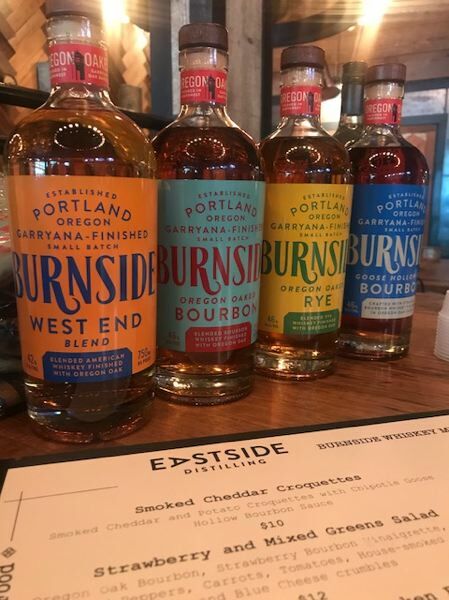 Portland's Eastside Distilling Inc. said Monday that it will merge with Craft Canning and Bottling in a deal that includes a $5.2 million payment to Craft Canning shareholders. The Jan. 14 merger announcement said the company would combine operations with Eastside's Mother Lode co-packing subsidiary. The $5.2 million payment by Eastside includes a combination of $2 million in cash, a three-year note worth $800,000 and 338,212 shares of common stock valued at about $2.43 million. The deal should be completed by late March. "We are excited to bring the operations of Craft Canning + Bottling into the Eastside family," said Grover Wickersham, Eastside Distilling chairman and chief executive officer. The six-year-old canning company has "become a trusted partner to beer, wine and cider producers in the Pacific Northwest and Colorado, with finished production of more than 17 million cans in 2018," he added. Owen Lingley, Craft Canning + Bottling chairman, said the company hoped to "leverage the overlapping capabilities" of both companies. "Up till now, all our business has come in just by word of mouth," Lingley said. "It will be exciting to add marketing capability, as well as equipment, and reach out for new business in high growth areas like wine canning, cocktail (ready to drink) and CBD drinks." Eastside Distilling has produced craft spirits in Portland since 2008. The company's spirits include Burnside Bourbon, West End American Whiskey, Goose Hollow Reserve, Below Deck Rums, Portland Potato Vodka and Hue-Hue Coffee Rum.